The St German’s Art Club was established in 1992 by the late Dan Noyse, who was a well know local artist and architect. 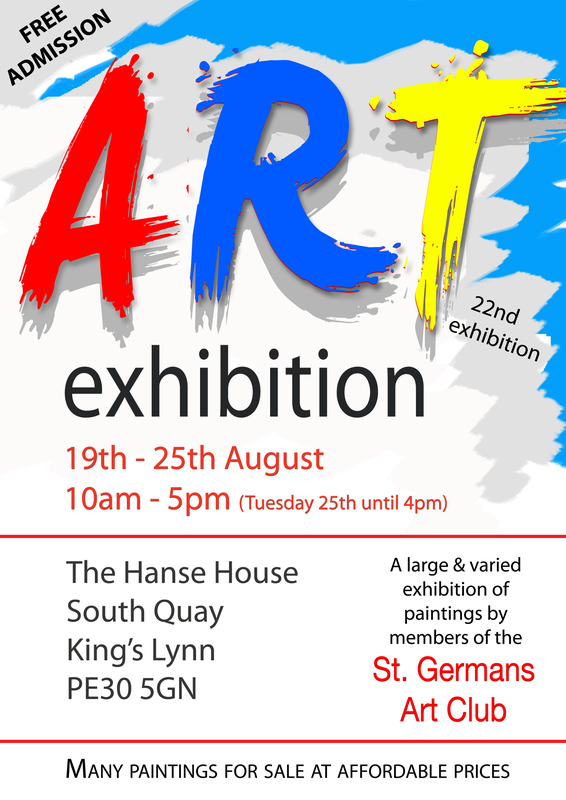 The club meet at the St German’s Memorial Hall every Thursday from 7pm – 9pm, as well as organising trips out and their annual exhibition, which we are delighted to be hosting this year. If you would like to find out more about the club, or may be interested in joining, they are quite happy for you to attend a couple of meetings free of charge to see if you would like to join. For more information please contact Janet Noyse on 01553 617362.